If your blog is called Fragments of a Writer's Life, and you live a quiet life, it can be awfully hard to find things to blog about. Cece doesn't have a scarf and she would love a purple and pink one, so I am using all the suitably coloured scraps from my wool drawer to knit her one. She has fairly lurid catholic tastes, so I can use up all the yicky suspect wool I've found in there, the provenance of which baffles me. I am wrestling with the novel. On good days I walk around with a smile on my face because I think it's working. On bad days I lie in bed at night wondering how I'm going to sort it out, and specifically how I'm going to make sure it's not too quiet. I am fat and unfit because the weather is generally foul and I don't have sufficient motivation to make myself go out for exercise. Yesterday I managed to force myself out on my bike and I spent the first quarter of a mile swearing and saying to myself 'It's cold, it's cold,' so anyone I passed could hear me. Fortunately there was no-one to hear because our lane is quiet. Dave and I watched Paterson the other night. (I've blogged about it here.) I told Dave he probably wouldn't like it because it's such a quiet film. He didn't. At one point in the film, Paterson's wife says 'I was dreaming I was in ancient Persia' and I thought she said 'I was dreaming I was pregnant in prison' - so you can see why I am getting a hearing aid. When Isaac and Wendy were here they bought me an Amazon Echo that I call Alexa. It's a gadget that sits in the kitchen and is hooked up to the wifi. I use her to play music, listen to the radio, time my cooking, check the weather, and sometimes, just to annoy Dave, I ask her to tell me a joke. I love Alexa! And my relationship with Alexa is wonderfully bloggable material, but I am using said material in the novel, so I don't want to spill it out here. That's the trouble with living a quiet life. If anything interesting happens, you save it to put in your novel. 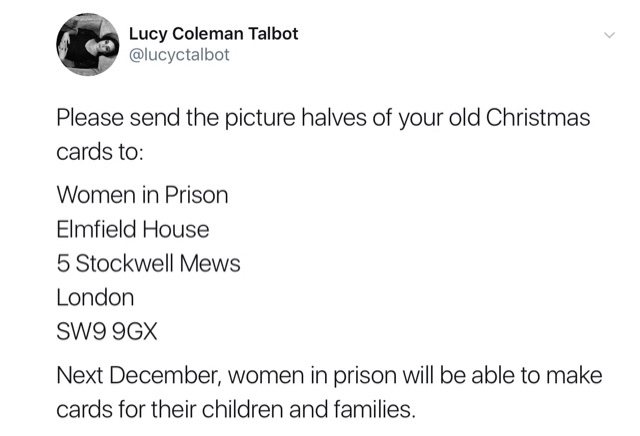 If Liz, grandmother, retired headteacher, and doyenne of childrens' books likes it, then maybe I should be more forgiving about the weird-coloured people. (Oh, and all her grandchildren love the book too.) But, but, won't the author's son be disappointed when he gets older and realises there aren't any purple people? The second part of this post is unrelated. It occurred to me this week that re-writing a novel (which is what I'm doing at the moment) is a bit like sending a mail-order item back. When you buy something from a catalogue, you have the pleasure of choosing the item (we're talking about clothes here, as all other shopping is boring) then there is the excitement of its arrival in the post, the joy of unwrapping it and trying it on, and then if it isn't right there is disappointment, and the irritation of having to repack it and take it to the post office to return it. Then you have the satisfaction of getting your money back, and the fun of looking for another item with all the attendant hopefulness. You get another chance. 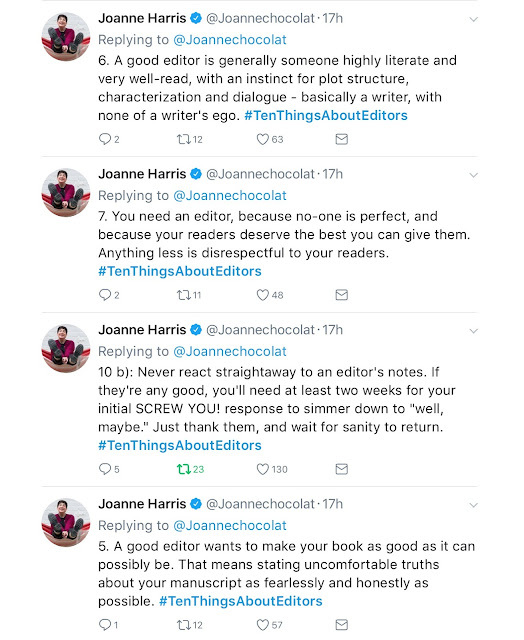 How is this like re-writing? First, you have the pleasure of writing the original draft. Then when you see it isn't working, it's dispiriting and daunting. But after you open up your mind, a whole world of exciting possibilities and amusing plot developments pop into your head. OK, I suppose it's only vaguely like catalogue shopping, but then this post is entitled Mental Rammel part 2. 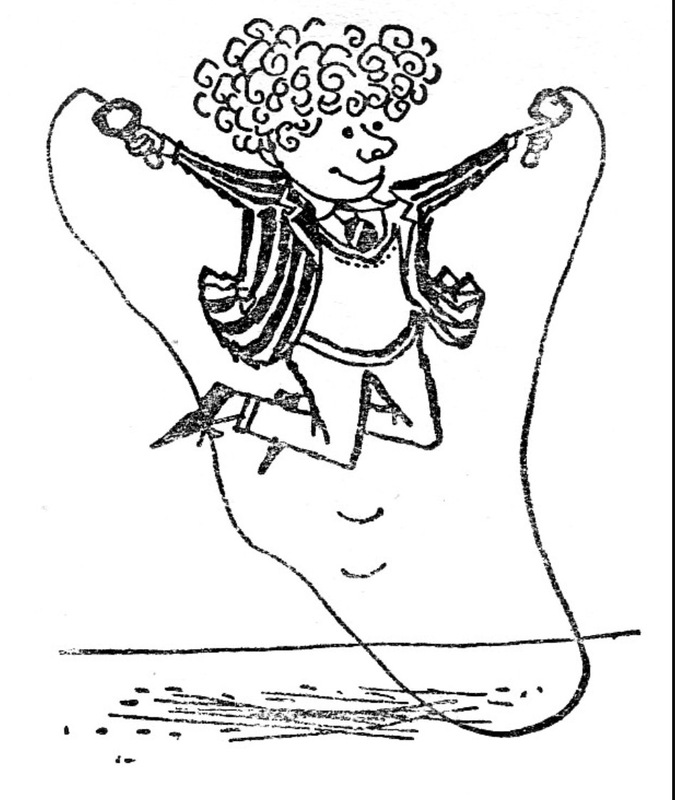 Whatever (which is what seven year old Lux has just started saying).....I am having fun with the re-write. 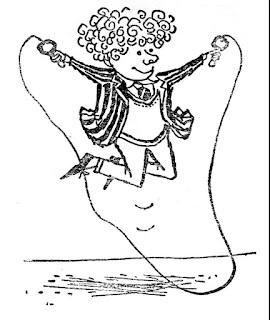 I told you I was like Fotherington-Tomas*, didn't I? *Yes, Pete. The second name is spelt without an h.
I watched the film Made in Dagenham the other night with a fellow northerner. We enjoyed the film in a sotto voce way; it's an inspiring story but not a great film like Billy Elliot or Pride. But we both found the strong east London accents off-putting and unattractive, unfamiliar, even alien. But my companion said it wasn't like racism, it was a tribal reaction. Neither of us felt that these people were inferior, but just that they were from another tribe. He said he felt the same way when he heard people like Jacob Rees-Mogg talking, with snooty, educated accents with tortured vowels and tight mouths. Except that he doesn't actually like this latter tribe. I have various ideas for a blog post but not the wherewithall to craft any of them into a polished stone of pithiness. I am still tired, and also my brain is fried. So here is what I can offer. I bought a book for the girls called Here We Are. 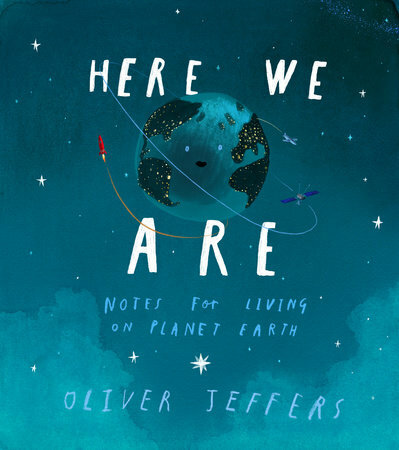 It's by the bestselling children's writer and illustrator, Oliver Jeffers - the author of The Great Paper Caper, the book the girls made me read them 5 times in one day. This was the fifth time: note the level of interest. Why am I telling you all of this? 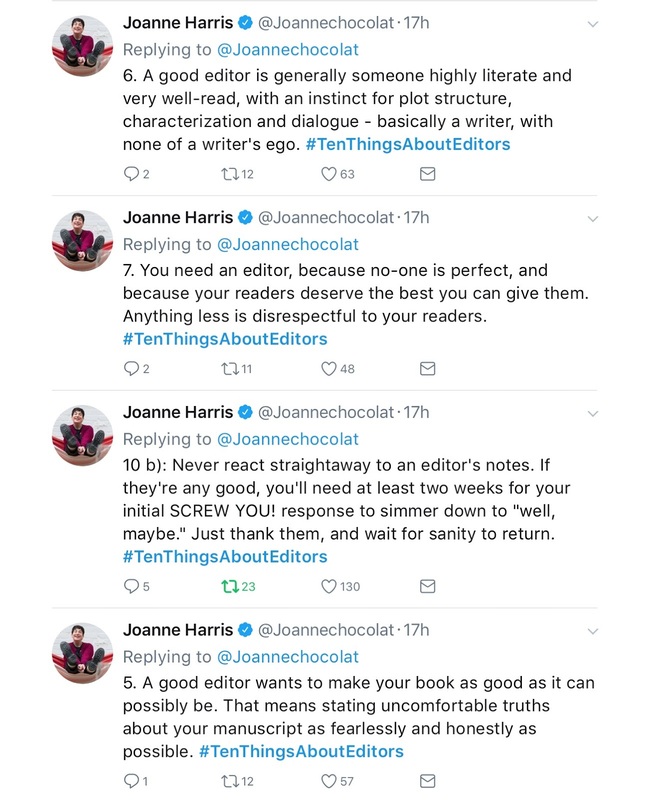 Because it serves as a clear illustration of subjectivity in book reviews, which I know is an obvious point, but when you're a writer, it's a cheering one. We decided that the three members of the family who liked the book have a scientific approach to life. The others don't. I'll finish by telling you that Chrissie got thirty pages into my rewritten novel and said it still wasn't working. The problem? The same as always - lack of narrative drive. Oh plot, plot. It's a necessary evil and it's my personal bete noire. Still, after the kids went back to Colorado I had an epiphany about what to do. The solution had been there all along. I just have to wait till my brain clears, like a stream after the flood waters have subsided, and I'll begin the novel again. p.s. 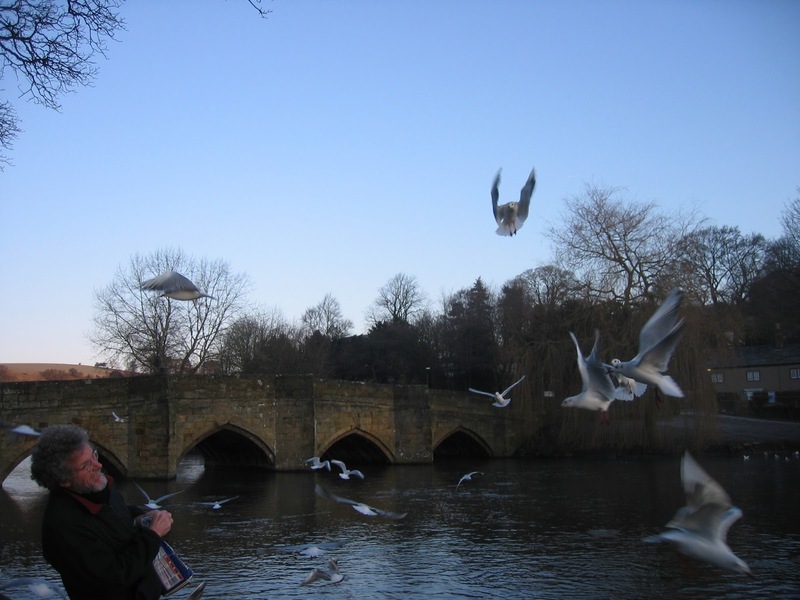 the header shows someone feeding the ducks in Bakewell one January, some years ago, before it was verboten. They've gone. They went an hour ago, at 5.35 a.m. The house has never felt so quiet. I am back in my own bed, Dave is on the sofa downstairs doing a crossword, the cat is re-establishing her territory, and the washing machine is turning. It's another quiet Saturday at Hepworth Towers. 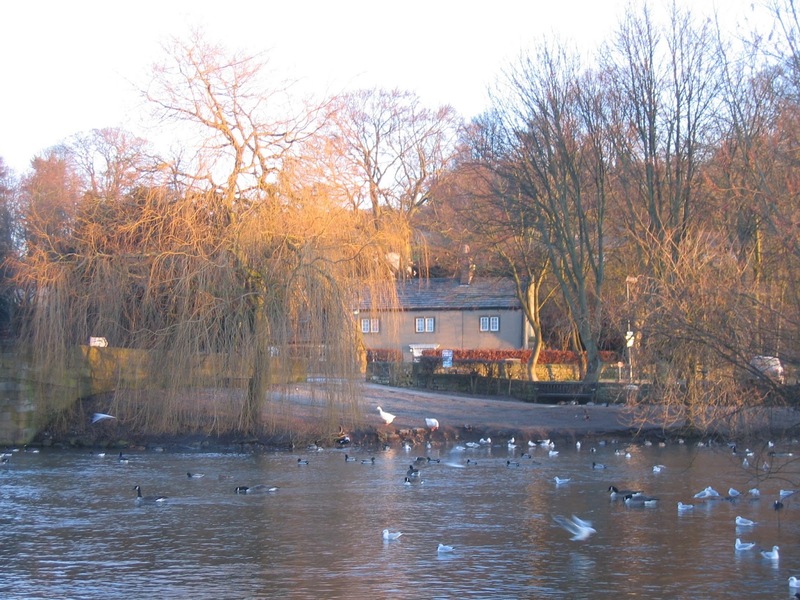 The giant puddles in Bakewell park will return to being unloved and unremarked, the lego will return to the attic, and the soft toys will return to the girls next door. I might stay here in bed all day, only getting up to put on another load of laundry. It's been exhausting, and soooooooo worth it. 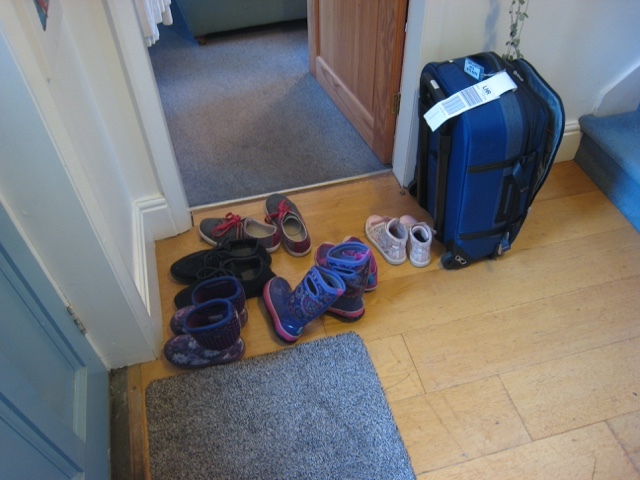 Isaac, Wendy, Lux (7) and Cecilia (5) are visiting from Boulder during this filthy, dark and freezing January weather. That's why I've been quiet. If there are 45 minutes in one block when I can be spared, I would rather hide somewhere and zone out to The Good Wife than marshal my remaining brain cells in order to blog. This time they arrived Saturday lunchtime after an overnight flight on which some sleep was had, but not much, and then they all crashed out at 8 p.m. and slept right through. That's what Lux reported when she bobbed downstairs with her bright eyes and her joie de vivre at 9 a.m. on Sunday. And that's what I continued to believe was happening. They are all sleeping upstairs, and I am sleeping on my study floor downstairs. Plus, as you know, I am going deaf. The only mystery was why Isaac and Wendy continued to look as drained and wrecked as when they'd first arrived. I found out eventually that people are not sleeping through. There are actually early hour stretches (the graveyard shift) when the girls are awake and ready for action, eager for fun. Oh dear. At this stage of the visit (5 days in, and they leave in 2) it's a case of endurance for I and W. Dave and I have lots of fun with Lux when she gets up at 9. Cece, who was found asleep and camping on the landing on Tuesday, tends to wake late morning like her parents. The problem with a January visit is that although we live in a tourist area, everything is closed this month - even Chatsworth adventure playground. 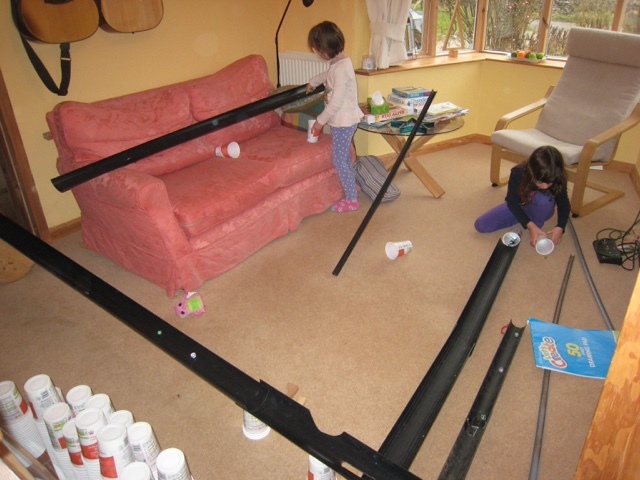 But we have boxes of lego, the ever popular yoghurt cartons, and the gutters and marbles for marble runs. We found a trampolining place in Sheffield that was a big hit. And the kids are properly kitted out for winter weather, now they live in Colorado and not California. They are as cheerful as eskimos on trips to the park in Bakewell and the village rec, and enjoy the puddles as much as if they were toddlers. Colorado is a dry state: even the snow is dry, which is why it is good for skiing and not making snowmen. But we - oh yes - we have plenty of puddles. 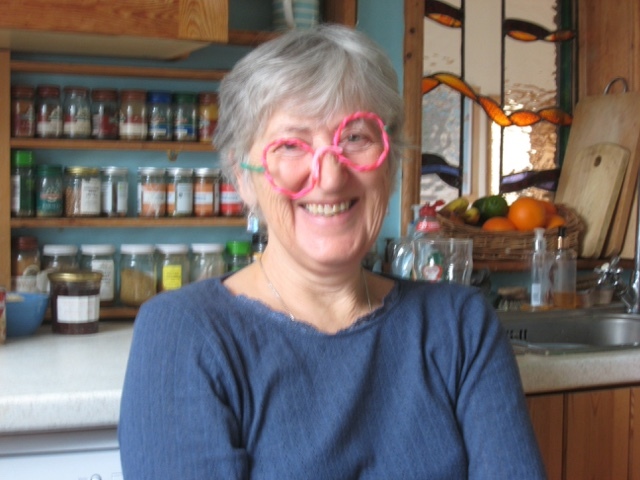 Me in my waxy-doodle glasses. Oh, the things you do for your grandkids..
Chrissie has been reading my rewrite, and this excerpt is from her Sunday email. Am I disheartened? Strangely not. This is a tough novel to write: it has a quiet subject, and has several viewpoints. I want it to work. I want it to be the best it can be. It doesn't matter to me how many rewrites it takes as long as it works in the end. I recently read that Roddy Doyle made 17 attempts at one of his recent successful novels. I don't think, however, that I can be asking Chrissie to read as many rewrites as it might take, so I'll need a solution to that. It's hard finding someone whose opinion you trust, someone who understands writing and can be specific about problems and who is sympathetic to the difficulties. So today Chrissie and I are having lunch and she will tell me more. And we will also discuss her upcoming book launch. Later, another writing friend is coming to visit. I have just read her first novel - at her request - and she is coming to hear what I think. I hope it's helpful.